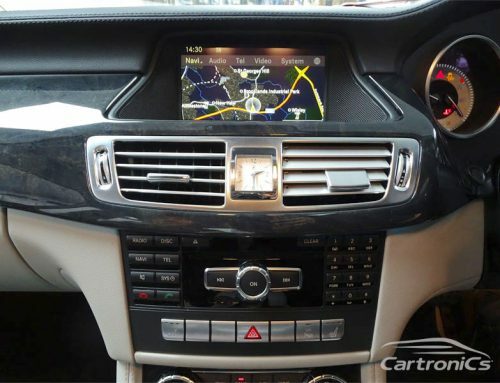 This Mercedes CL (W216) was retrofitted with a Parrot Bluetooth handsfree system. The Parrot ck3100 has been installed in a discreet cubby hole above the rear view mirror and the audio runs through the Mercedes OEM system. One happy customer, their Mercedes now sounds as good as it looks.